Though Puerto Rican law prohibits ownership and bearing of most long-guns and especially semiautomatic weapons, the streets of the stricken US colony now throng with mercenaries in tactical gear bearing such arms, their faces masked. They wear no insignia or nametags and won't say who they work for, apart from vague statements in broken Spanish: "We work with the government. It’s a humanitarian mission, we’re helping Puerto Rico." Rosa Emilia Rodríguez, head of Puerto Rico's Federal Prosecutor’s Office, initially dismissed reports of the mercenaries, then, after reporters from the Centro de Periodismo Investigativo pressed her she said she'd "check it out." After Hurricane Katrina devastated New Orleans, Erik Prince's Blackwater mercenaries flooded the city again, turning it into an "armed camp", after Brigadier Gen. Gary Jones, commander of the Louisiana National Guard’s Joint Task Force announced "This place is going to look like Little Somalia. We’re going to go out and take this city back. This will be a combat operation to get this city under control." Erik Prince is now reportedly considering a senate run as a Trumpist candidate in Wyoming. His sister, Betsy Devos, has used millions from her husband's pyramid-scheme fortunes to fund efforts to destroy public education, and now serves as Trump's Secretary of Education. 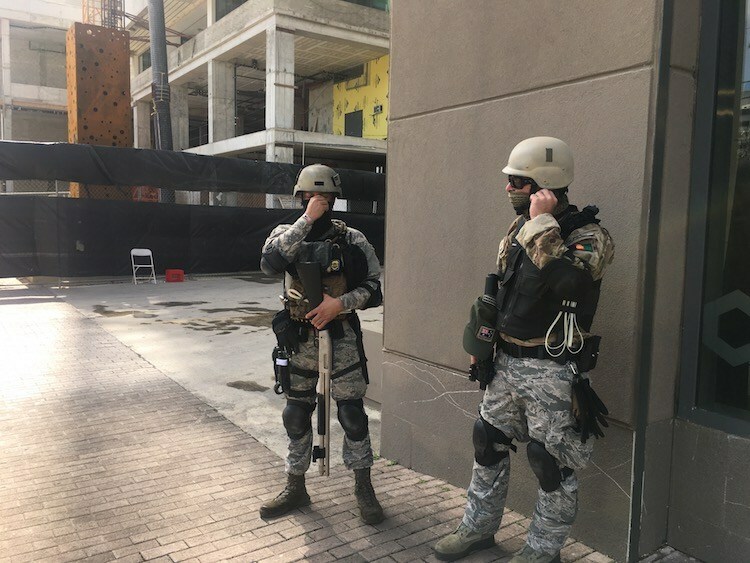 Though the mercenaries in Puerto Rico won't identify their employers, there's good evidence that Blackwater (now called Academi) is or will soon be operating there, as well as other notorious mercenary gangs like Ranger America and the Whitestone Group.